Capital of the People's Republic of China, located in the eastern central section of the country; also served as the capital during the Qing and Ming dynasties. A modern metropolis with 3,000 years of history. Home to Tianamen Square and the Imperial Palace, (also known as the Forbidden City), which housed Ming and Qing Dynasty emperors for over 500 years. Offers visitors the chance to ride in pedicabs through the Hutong (rapidly disappearing alleyways in the old residential section of the city), take an excursion to the Great Wall, and enjoy Peking duck for dinner. 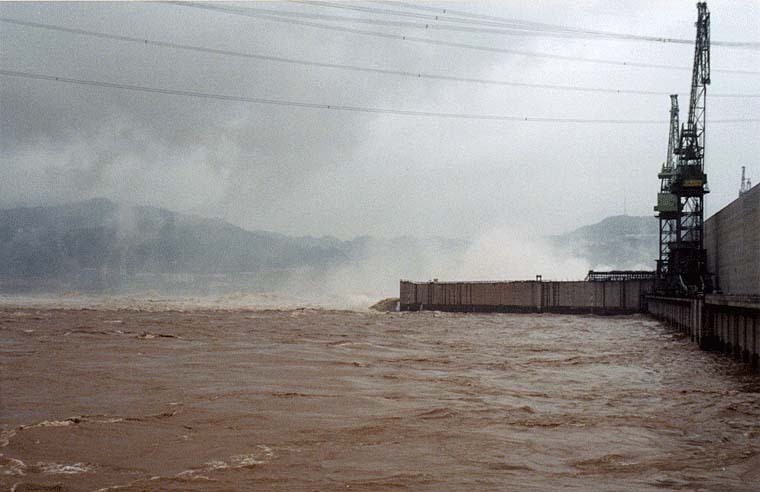 Mountainous city located at the confluence of the Yangtze and Jialing Rivers in the southwestern part of China. Became a municipality directly under the Central Government in 1997. The largest city in China in terms of total area. 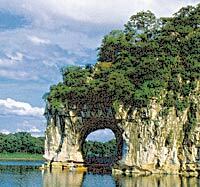 Gateway to Yangtze River cruises. Visitors enjoy catching a glimpse of China's treasured pandas at the Chonqing Zoo. 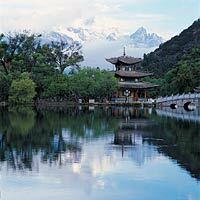 Historic destination along the Silk Road in northern China. Characterized by lush green fields, as well as mountainous rollings and dunes where camel riding is a favorite. Served as the gateway through which Buddhism, Islam and Christianity entered China. Home of superb Buddhist art at the nearby Mogao Grottoes - the oldest of China's monumental Buddhist Grottoes. Historic gateway to China, just north of the Pearl River delta, 113 miles (a 2 hours train ride) from Hong Kong. Host to China's oldest and largest international trade fair, attracting visitors from around the world each spring and fall for almost fifty years. A small, slow-paced town located on the Li River in southeastern China. Boasts some of the most beautiful scenery in the world. Surrounded by mist-covered hills, bamboo groves, and exotic geographic formations such as, the Reed Flute Cave which features stalactite and stalagmite formations artfully illuminated by multicolored lights. Zhejiang Province capital city, 117 miles south of Shanghai near beautiful West Lake. Home to the silk museum and brocade factory, with scenic surroundings inspiring the Chinese saying "Above there is heaven; below, Hangzhou." Special Administrative Region with subtropical climate similar to Hawaii. World famous for its extravagant celebrations and fireworks. A former British colony, returned to China in 1997, Hong Kong - known as "the pearl of the Orient" - is home to more than six million people. Visitors enjoy a tour of the Aberdeen Fishing Village and the breathtaking view from Victoria Peak. Capital city of Yunnan Province in southwest China, noted for its beautiful natural scenery, karst (limestone) landforms, and the cultural diversity of its numerous ethnic groups. Elevation - 6,600 feet. Known as the "City of Eternal Spring" because of its mild climate. Designated a Special Tourism center for its rich cultural heritage. An ancient town in Yunnan Province that serves as the seat of the minority Naxi people. Also designated as a UNESCO World Heritage Site. Visitors enjoy the 14th century religions frescoes at the Yufeng Monastery, and the over five-hundred-year-old "Riot of Camellias" tree. Entertained is provided by a concert of traditional Naxi music. Located in the scenic tapestry of the Yangtze River basin, this ancient city served as China's capital for six dynasties, and was the first capital of unified China under Dr. Sun Yat Sen, China's first president. 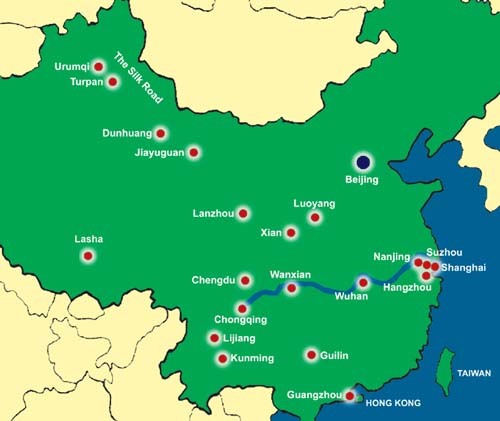 Only 90 minutes from Beijing and 40 minutes from Shanghai by air, Nanjing now serves as the capital of Jiangsu Province, China's most industrialized province, and is renowned worldwide for its educational facilities. Visitors are especially interested in touring the nearby Temple of Confucious, and the majestic Dr. Sun Yat Sen mausoleum on the southern side of Zhongshan Mountain. This famous seaport on China's east coast at the mouth of the Yangtze River is one of the largest cities in the world in terms of population. Special features include European style buildings, shopping day and night along the Nanjing Road, international cuisine, and one of the finest museums in the world. 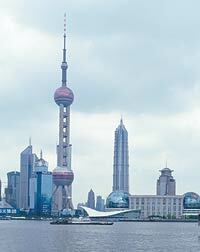 Young and old alike enjoy strolling along the Bund to enjoy the magnificent waterfront view. 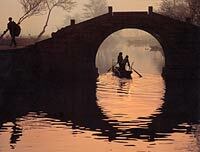 A network of canals and bridges known as the "Venice of the East," 1 1/2 hours by bus from Shanghai. Founded in 514 BC, this "paradise on earth" is known for the beauty of its many classic gardens. The trip to Souzhou is highlighted by a cruise on the Grand Canal, one of the best ways to enjoy the local scenery. An oasis along the Silk Road, rich in historical relics, with a predominantly Moslem population. Also known for its grapes and honeydew melons. Attractions include the Gaochang Ancient City, ruins of a once prosperous garrison town, strategically important between the first century BC and the fourteenth century AD. Capital city of the Xinjiang Uighur Autonomous Region in northwest China. Characterized by an ancient glacier, vast deserts, and the colorful dress of its 13 indigenous nationalities. Visitors enjoy shopping at the huge open-air bazaar, and boating on Heavenly Lake (Tianchi) - a vast expanse of placid water, surrounded by snowy mountain peaks, only sixty-eight miles away. Major port city located halfway between Chongqing and Shanghai on the Yangtze River. This important industrial and commercial center is the Capital of Hubei Province, and serves as a gateway to the popular Yangtze River cruises. A thriving city near Lake Tai, 80 miles west of Shanghai. Known for its clay folk-art figurines, famous since the Ming Dynasty. Bisected by the Grand Canal, Wuxi offers tourists the beauty of its Liyuan Garden and an opportunity to observe the artful tradition of figurine manufacturing at the Huishan Clay Figurine Studio. 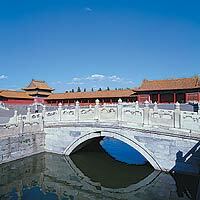 Ancient walled city, 1 1/2 hours by air from Beijing. Marks the beginning of the Silk Road. Xian was China's capital during the Tang dynasty and is regarded as the cradle of Chinese civilization. 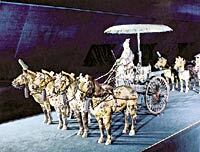 Noted for the astonishing archeological discovery of the Terra-Cotta Warriors and Horses that guard the tomb of Qin Shihuangdi, the first emperor of a unified China. Evening performances of the popular Tang Dynasty dance and music dinner show give visitors a taste of the rich culture of China's wealthiest ancient dynasty. 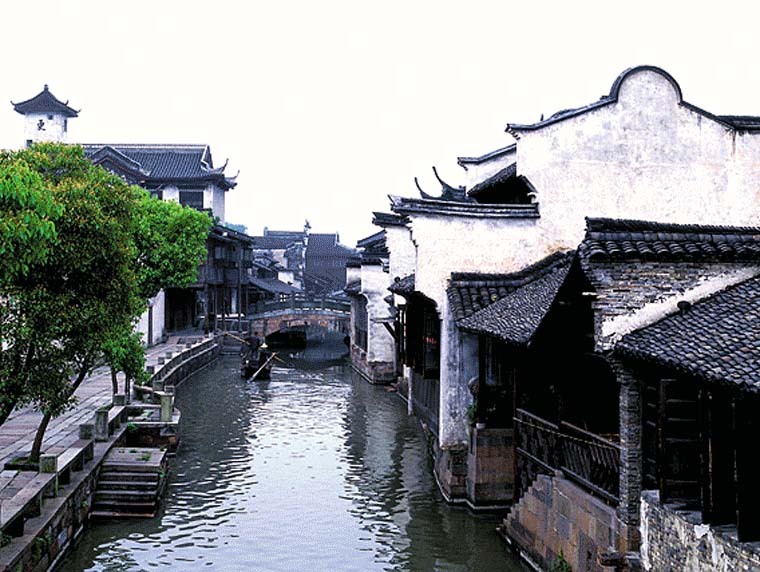 Historic city located along the bank of the Yangtze River in Jiangsu Province. Visitor attractions include the fascinating Jinshan Temple.